Bravo Darling provides a unique and extensive range of roving acts for corporate events. 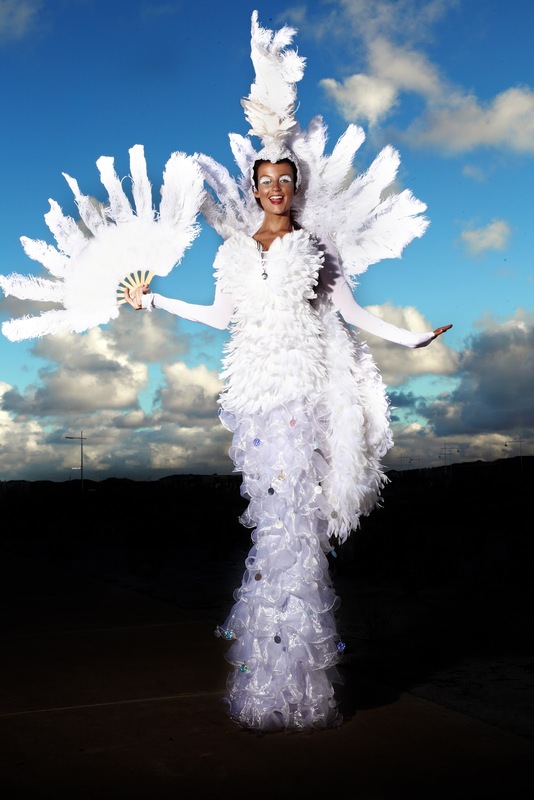 Their costumes are spectacular, performers simply stunning and they are here to make your clients event or party something that is out of this world. 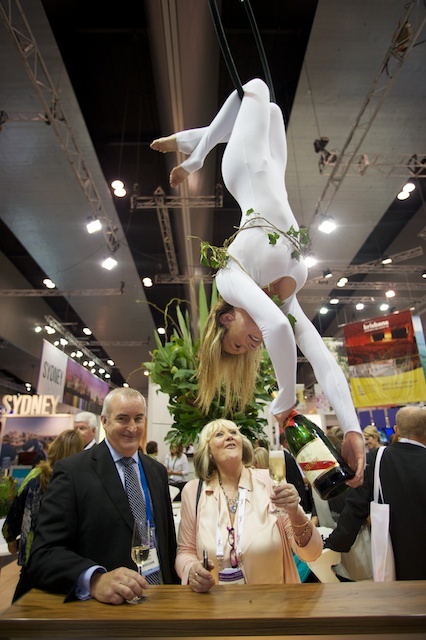 Have one or moreof our Champaagne Pouring Aerial artists hang from your ceiling and serve your guests - that will be a glass of champagne they will NEVER forget! Offering a unique audience experience with her aerial performances. Fusing aerial acrobatics and dance, Elise truly engages her audience in an unforgettable experience. Elise also offers the following solo aerial acts; silks (Tissu), Aerial hoop and dance trapeze and aerial rope. She also performs in a duo performing Aerial, Dance Adagio & Spanish Web as well as a variety of roving entertainment including dance roving and champagne pouring. Elise can also choreograph full Cirque Du Soleil style shows for your guests to enjoy.